Dr Leanne Morrison is a Lecturer in Health Psychology within the Centre for Community and Clinical Applications of Health Psychology, Faculty of Environmental and Life Sciences and the Department of Primary Care and Population Sciences, Faculty of Medicine. Prior to completing her doctoral studies, Leanne was an undergraduate (BSc Psychology, 1st) and postgraduate (MSc Health Psychology, distinction) student at the University of Southampton. 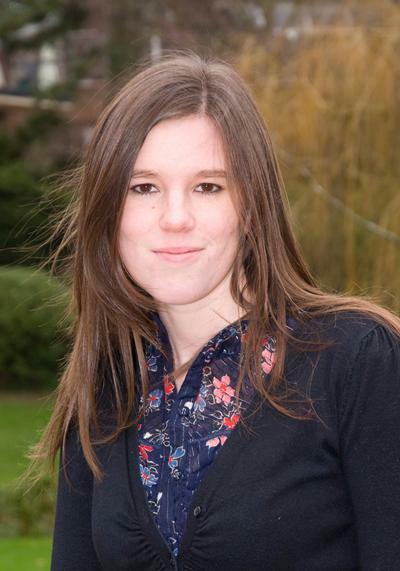 Leanne completed her PhD in 2011, also at the University of Southampton. Her doctoral studies identified and examined how technology-based features influenced users' engagement with digital health behaviour change interventions. Since 2011, Leanne has worked as a postdoctoral research fellow, then Lecturer in Health Psychology, and has been involved in developing and evaluating a number of digital health behaviour change interventions for both adult and adolescent populations. These interventions have targeted a range of health behaviours including weight management, healthy dietary choices, malnutrition, and stress management. Leanne is also deputy director of the LifeGuide Research Programme at the University of Southampton and deputy theme lead for Behavioural Science within the NIHR Southampton Biomedical Research Centre. Professional memberships: European Health Psychology Society and chartered member of the British Psychological Society. Leanne’s core research focus is in understanding how novel technologies can best be harnessed to deliver behaviour change interventions and improve health outcomes. In particular, she is interested in the person-based development of interventions, understanding and measuring effective engagement with digital health interventions using mixed methods, and evaluating scalable models for supporting effective health interventions in primary care and community settings. Leanne is currently leading on the development of an app- and game-based intervention to engage adolescents with healthy eating and physical activity. Leanne is also co-leading the development of an intervention to support the screening and treatment of malnutrition in older adults within primary care. Please see below for a list of Leanne's current and past grants. Morrison, L. (PI), Yardley, L., Bradbury, K., Weal, M., & Little, P. (2015). Integrating effective weight management programmes into community-based public health services. Strategic Interdisciplinary Research Development Fund (University of Southampton): £9793.81. Little, P. (PI), Stroud, M. (PI), Stuart, B., Yao, G. L., Roberts, H., Gill, P., Rathod, S., Green, S., Moore, M., Griffiths, G., Boehning, D., Yardley, L., Morrison, L., Aveyard, P., & Roderick, P. (2015 – 2021). Screen and TREAt for malnutrition (STREAM) programme. NIHR – PGfAR: £2,755,376. Barker, M., Morrison, L., Soltani, H., Stevenson, J., Whitworth, M., Rundle, R., & Lang, B. (2015-2016). Improving nutritional status in pregnant teenagers: development of a complex intervention to support change in diet and lifestyle. MRC – PHIND: £149,126.08. I am module lead for the Biopsychosocial Aspects of Health core module (PSYC6001) on the MSc Health Psychology Programme. I also regularly deliver guest lectures on digital health. I supervise a number of 3rd year undergraduate and postgraduate dissertation projects. I am currently supervising two doctoral students.